In our digitally-addicted and stressful lives, we often don’t realize how our surroundings influence us. Why do some rooms make us feel uneasy? Why are other rooms comfortable? Why are some workers more productive than others? Why are some businesses more successful than others? Feng Shui might explain it. You’ve also used Feng Shui and may not have realized it. Have you ever been seated at a table in a restaurant that just didn’t feel right and you asked the maitre d’ to move you to another table? Have you ever moved your couch several times to make the living room feel more comfortable? Well, you practiced Feng Shui. 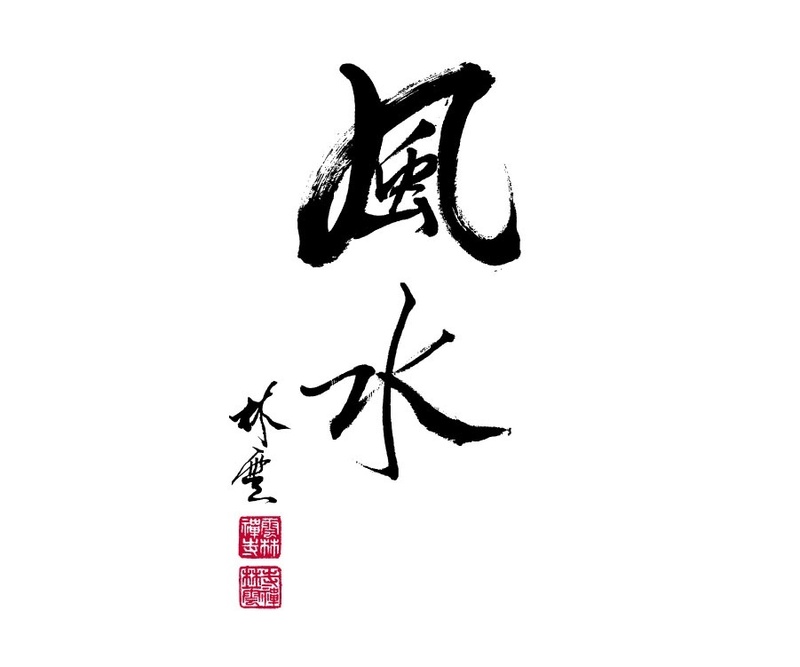 Literally meaning “wind and water,” Feng Shui (pronounced fung shway) is the ancient Chinese art of harnessing the forces of nature through design and placement to promote success and well-being. Farmers in ancient China discovered that finding the best place to live meant the difference between a prosperous life and a difficult one. The forces of heaven and earth dictated their fate. Gentle winds yielded good crops. Harsh winds destroyed crops. Water cultivated rice fields. Stagnant water caused disease. They realized that living in harmony with nature would assure a successful life. Respecting the earth was their credo. Feng Shui, a 5,000-7,000 year-old discipline, directs the vital life energy, “ch’i” (qi), that flows everywhere-in nature, buildings and people to promote better health, greater prosperity and inner peace. Ch’i is an invisible energy force, like gravity. It is known as a “cosmic breath.” You can also think of ch’i as your breath of life, keeping your mind active and heart beating. The concept of ch’i has been recognized in mainstream culture. In acupuncture, the needles are inserted to unblock ch’i energy centers in the body. In yoga, you form different body positions to encourage ch’i flow. And the movement exercises in tai ch’i and ch’i gung do the same. Even jogging or a gym workout helps to keep your ch’i flowing. There is also ch’i of the land and atmosphere–arteries of positive and negative energy flowing through the earth and nature. The laws of Feng Shui protect you by deflecting harmful ch’i and directing positive ch’i to benefit your mind, body and surroundings. Placement of dwellings, rooms, furniture, and design features like architecture, art and colors are some of the many factors that influence the ch’i flow. If the ch’i flows smoothly in your environment, it will flow smoothly in you, leading to a healthy, successful life. However, if the ch’i is blocked, moving too swiftly or slowly, it can cause stress, uneasiness or illness, making life difficult. For example, proper bed placement is critical. It can mean the difference between a life of ease or one of struggle. Some may view Feng Shui as hocus pocus or superstition, but it is based on the study of cosmic forces. Long before the discovery of electromagnetic fields, ancient Chinese analyzed the positive and negative energy movement of heaven (sun, moon, stars, known as the “Three Lights of Heaven”) and earth (nature, seasons) and developed theories about their influence on human life. This study became known as the science of Feng Shui. This science also detects areas in a home or business that have “ch’i power spots,” energies affecting different aspects of life success, such as wealth, career, romance, etc. Today, Western science defines ch’i as a “subtle energy,” a category of energies that do not fit into the classical physics definition of energies. Subtle energies function in a domain of the universe that we cannot directly access with our physical senses. Feng Shui is rooted in the Taoist philosophy that two primordial opposite energy forces-yin and yang-govern the universe. Light (yang) dark (yin), hot (yang) cold (yin),), life (yang) death (yin). This dynamic translates to your home or business as bright and dark areas, bold and subtle colors, curved and rectangular shapes. Floor plan, property shapes and building design hold yin and yang energies. The balance of these forces influences your destiny. The governing principles of Feng Shui do two things: they protect you by deflecting harmful ch’i that can cause illness, life struggle, and misfortune. And they direct beneficial ch’i, to enhance good health, success, and prosperity. Street location, roads, power lines, neighboring structures, architectural design and floor plans, are among the many factors that can create bad ch’i. The tenets of Feng Shui design and placement can be applied to countries, urban planning, building land development, architectural design, interior design and landscaping. With Feng Shui, you are designing your home for a higher purpose, beyond beauty and comfort, to a place that encourages you to flourish to your full potential. If it’s a business, you are creating an environment for success. Feng Shui is a way of living in harmony with your surroundings, family, and life goals. There are many schools of Feng Shui and they all strive to create an environment that promotes healthy and successful living, but their methods may differ. The traditional Classical Compass School focuses on cardinal directions to determine the ideal orientation. The Form School considers how shape, symbolism and landscape influence energy. The Black Sect Tantric Buddhist School incorporates elements of Compass, Form and other schools, but focuses on the “mouth of ch’i,” the entry into a space or onto a property. The impact of immediate surroundings is vital to interpreting the dynamics. Founded by one of the world’s foremost authorities, His Holiness Grandmaster Thomas Lin Yun, the late spiritual leader of Black Sect Tantric Buddhism, 4th Stage, he adapted this ancient discipline to modern living. It is sometimes dubbed the “Modern School of Feng Shui,” an integrative school that incorporates contemporary science and arts, such as architecture, ecology, environmental design, medicine, and psychology. What also distinguishes Black Sect Feng Shui from other schools is its dual emphasis on the mundane (visible) and transcendental (invisible) influences on you and your environment. It stresses the power of applying both visible remedies, such as mirrors or plants, and “secret invisible methods” rooted in ancient tradition and folklore that invite greater prosperity or rid one of bad luck, such as rituals and ceremonial blessings. Although Feng Shui is a complex discipline and can seem daunting to put into practice, Black Sect Feng Shui is known for its practical approach and simple, effective remedies that don’t require moving doors or tearing down walls. One small Feng Shui object can correct a big issue. A Chinese axiom best sums it up, “4 Ounces can move One Thousand Kilos” (2,204 Pounds). Black Sect Feng Shui has a holistic approach and analyzes the ch’i of a place and person. Buddhism, Taoism and Confucianism, the trinity of Chinese thought, shape the Feng Shui philosophy of living your life in harmony with nature to achieve peace and happiness. Black Sect Feng Shui helps you to reach this goal by not only balancing the ch’i in your environment, but also the ch’i within you, which may include meditations to attain better health, clarity and compassion. Self-cultivation is integral to successful living.